The government on Wednesday approved Xofluza, a new drug that can reduce severity and shorten duration of flu symptoms after just one dose. It comes after a brutal flu season last year and just ahead of the brunt of this winter's flu season. TRENTON, N.J. — U.S. health regulators have approved the first new type of flu drug in two decades. The need for only one dose is an advantage since patients don’t always take all their medicine, said Dr. Mark Eisner, Genentech’s head of development of infectious disease medicines. 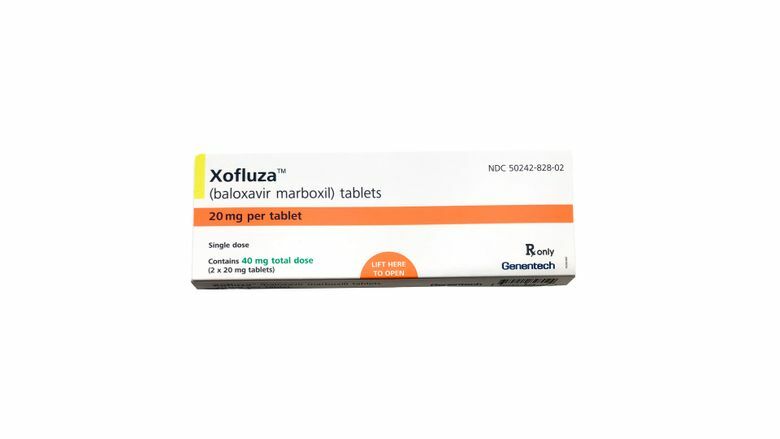 Xofluza side effects were mild — diarrhea, nausea, headaches and bronchitis — and occurred at about the same rate as study participants given Tamiflu or placebo pills.